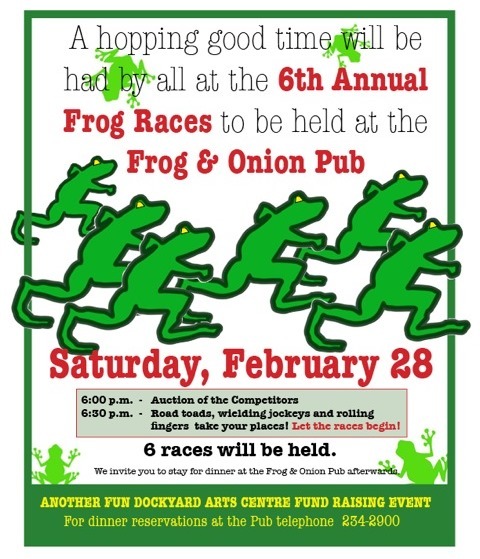 The Bermuda Arts Centre is inviting the public to attend the sixth annual Frog Races at the Frog and Onion Pub, set for Saturday, February 28, beginning at 6.00pm. The event will feature six frogs, raced by jockeys that will move them along a track by rolling string over a bamboo stick. Each frog is also up for silent auction. Proceeds will benefit the Bermuda Arts Center. The proceedings will get underway at 6.00pm with an auction of the competitors, with races beginning at 6.30pm. All attendees are invited to stay for dinner at the Frog and Onion Pub after the event.